ThermLink carries the best products from ClimateMaster, Viessmann, Caleffi, LifeBreath, Tekmar, Grundfos and others. Combine these products with our technical knowledge and you can see why our contractors choose ThermLink. Since ThermLink does not have the overhead of multiple branch locations with numerous staff, we can provide very attractive prices on our premium products. 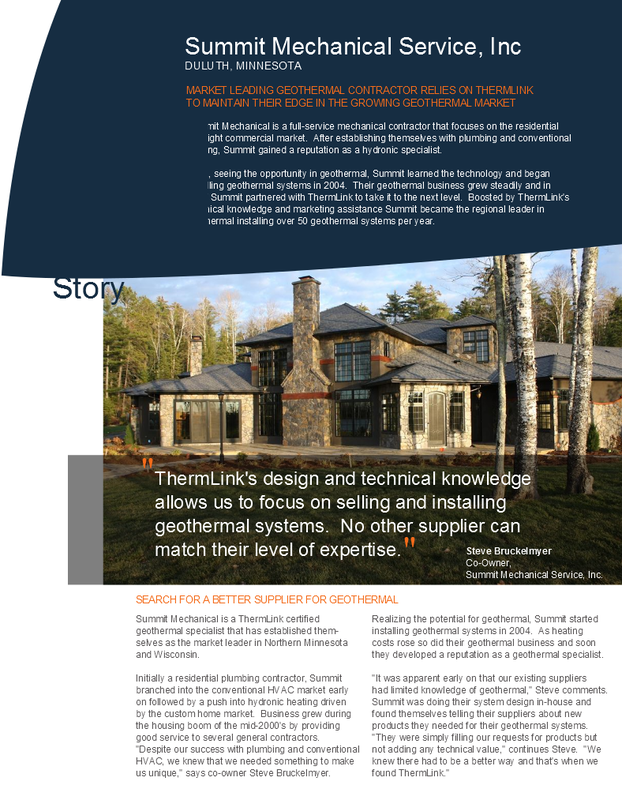 But don't take our word for it -- here are a couple of contractors who have successfully partnered with ThermLink. 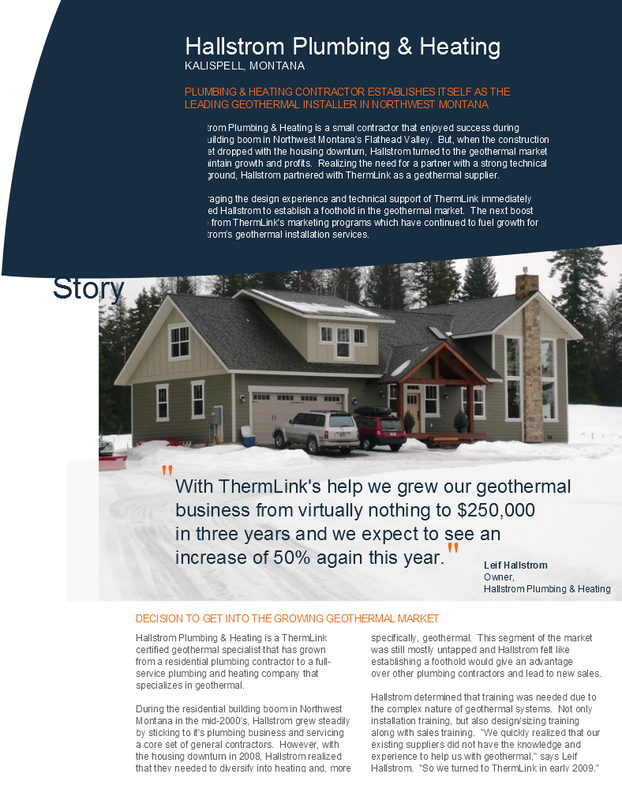 Interested in becoming a ThermLink dealer? We can set you up as an authorized ClimateMaster dealer and ﻿Viessmann dealer﻿. Each has tremendous advantages including access to the best products, technical training, customer leads, co-op funding, points programs and more.